Amazing Drapery Hardware Our eCRATER Store About Us Contact Us Add to Favorite Sellers 20 FEET:1.4 MM CHAR BROWN LIFT CORD for ROMAN/PLEATED shades &HORIZONTAL blind $8.99 20 FEET: 1.4 MM LIFT & PULL CORD, in CHAR Brown. CoMM only Used For: ROMAN and PLEATED Shades HORIZONTAL Blinds. 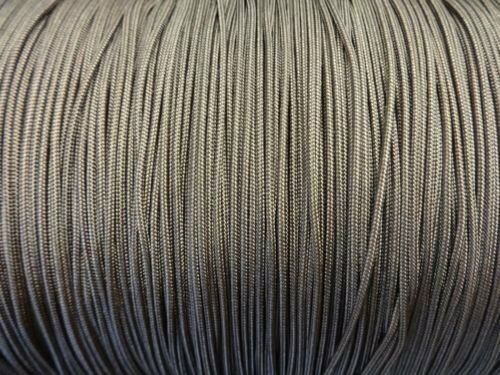 This strong, Diamond Braided, non-stretch cording is PROFESSIONAL GRADE and is great for Shade or Blind Repair, as well as many other projects. It resists deterioration in sunlight and its Diamond Braided construction reduces friction allowing for long lasting performance. 291089692528";Braided for long lasting strength. Resists Fraying Find this and much more, at our eCRATER store, Amazing Drapery Hardware. .WORRIED THESE ARE RIGHT FOR YOU? NO PROBLEM!We accept returns on all our parts within 14 days for a full refund.ANDWe are also here to help you through your ordering process. AND We are still here to help with any questions you may have about your installation once you receive your parts and get to work.QUESTIONS??? EMAIL US We have years of window treatment experience, WE CAN HELP!.